Lameness in 74.7% of horses improved by at least one grade 56 days after treatment. Mild transient colic was only seen following 9.0% of treatments. Osphos is the only FDA approved intramuscular bisphosphonate injection for the control of the clinical signs associated with navicular syndrome in horses. Setting the pace in the next Equine generation - Non GMO complete balanced feed. The Midwest's Foremost Equine Medical and Surgical Hospital "It's all about the horse..." We strive to maximize the quality of life for our equine patients by providing compassionate care with the utmost attention to the individual needs of the horse and the clients we serve. Cleary Building Corp. makes it's mark on the landscape with pre-engineered structures that meet customers' needs and suit the building site. 2 Locations to serve you within 10 minutes from the Arena. Call ahead and have your order ready! Fresh - Fast & Hot! Delivers to the Arena! Great Lakes Equine Wellness Center, Inc. is all-equine veterinary clinic with full service ambulatory and hospital care. We are a progressive practice offering reproductive services, dentistry, alternative medicine, wellness care, lameness and performance evaluations and high-quality medicine. A well-equipped hospital with endoscopy, gastroscopy, radiology, ultrasound, shockwave and powerfloats is in place to provide excellent equine care. 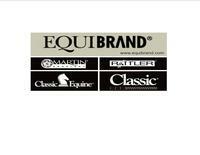 With GLEWC, your horse will be well cared for... Because it all about the health of your horse. 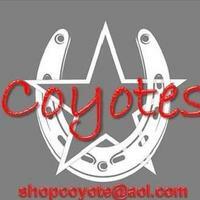 Coyotes is "Your One Stop Shop" for all your horsey needs! 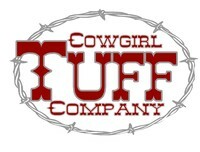 We have 15 years plus years in the western industry! We would like to welcome 4C's Sales and Service to our Partner Program - If you are tired of rubber mats in your trailer check out the new flooring they offer and get rid of the mats and all the hassle of dragging them in and out to clean your trailer! 515-460-4751 Call Neal today! People See The Difference ....The Animals Feel The Difference !! Proven Results! Satisfaction Guaranteed! We supply the pellets to go with a pellet grill and horse bedding. Both are sold at a competitive price and are in stock 365 days a year! Ice Cream is just minutes from the Arena !! Big trailer parking area! Next to Interstate 94. * An independent community bank. * Offers complete financial programs for individuals, professionals and business. * Money deposited at Bank of Deerfield is invested back into our community through consumer, construction and commercial loans. 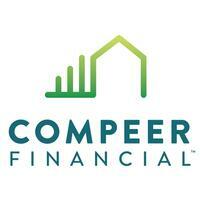 * Recognized for quality banking, safety and soundness and genuine personal service.